Nowhere in the United States is renting a car more costly than in Philadelphia. That conclusion is the result of a new survey from CheapCarRental.net. In determining the rankings, the survey compared 50 main destinations in the USA based on their car rental rates during the month of August 2016. 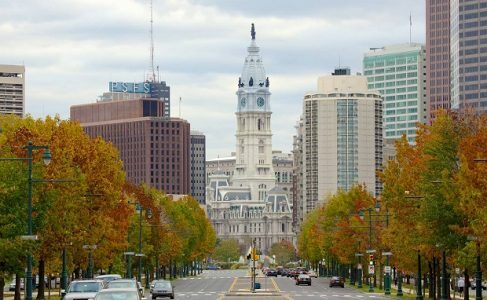 In the City of Brotherly Love, car renters will have to pay an average of $83 per rental day for the cheapest available rental car. Only slightly less expensive are Seattle and Boston, which round out the Top 3 podium. At average rates of $81 and $80, respectively, they come in second and third on the survey. On the opposite end of the spectrum, the least expensive U.S. car rental city is Orlando at an average rate of only $26 per rental day. Also quite affordable are the other Floridian destinations of Miami, Tampa and Fort Lauderdale. There, travelers should find a vehicle rental for around $30 per day. Atlanta was midway down the list at 17th place with a average daily rate of $55. To find out which other cities made the Top Ten at Travel Daily News, click here.